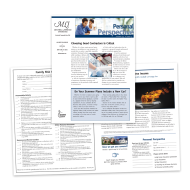 Keep your clients informed and up-to-date on important insurance topics with newsletters delivered directly to them. 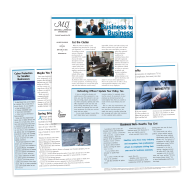 A great, affordable way to market your expertise, our newsletters are available for both personal and commercial lines. What better way to make a positive influence on your clients than by providing useful, tangible information they will associate with the quality service that you provide? Our insurance newsletters are a powerful way to build trust and remind your clients that you are an insurance agent that can be relied upon. Available for both personal lines and commercial lines, you can also choose between printed and email formats.